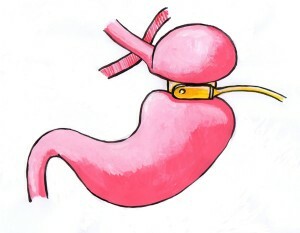 Gastric Band Hypnotherapy is the pioneering treatment for weight control. It involves Hypnotherapy to assure clients that they have undergone actual Gastric Band surgery, giving all of the benefits of having a Gastric Band fitted, without having to go through the trauma of surgery or suffering dangerous side effects. Rachel and Samantha are Advanced Weight Control specialists who combine their expertise to address and resolve any underlying issues linked with food and eating patterns, making your lifestyle changes permanent and easy. This treatment uses a combination of Cognitive Behavioural Therapy techniques, Visualisation, Neuro Linguistic Programming and, of course, Hypnotherapy to achieve dramatic results. Once underlying issues are resolved, the next phase is the gastric band “operation”, where you are taken through virtual gastric band surgery using powerful visualisation techniques. Treatment begins with an initial free consultation lasting for about twenty-thirty minutes. Four further sessions are generally required for this treatment, with the Hypnotic Gastric Band session on the fourth session. These sessions are usually scheduled on a weekly basis, each one lasting approximately an hour. As this is a bespoke treatment some clients may opt for further support. Give either Rachel or Samantha a call to book your consultation – what have you got to lose except your excess weight? Ditch the diets forever this time! "I was a little skeptical as to how these techniques would work for me, but now I can't describe how beneficial they were then and have been since. I got more out of the treatment than I thought possible. Would I recommend this treatment?